In Good Citizens, Thich Nhat Hanh lays out the foundation for an international solidarity movement based on a shared sense of compassion, mindful consumption, and right action. Following these principles, he believes, is the path to world peace. The book is based on our increased global interconnectedness and subsequent need for harmonious communication and a shared ethic to make our increasingly globalized world a more peaceful place. The book will be appreciated by people of all faiths and cultural backgrounds. 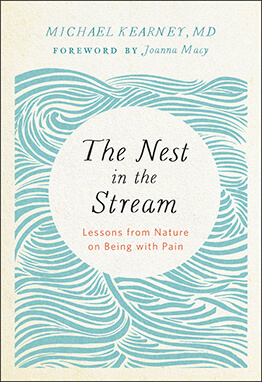 While based on the basic Buddhist teachings of the Four Noble Truths and the Eight-Fold Path, Thich Nhat Hanh boldly leaves Buddhist terms behind as he offers his contribution to the creation of a truly global and nondenominational blueprint to overcoming deep-seated divisions and a vision of a world in harmony and the preservation of the planet. Key topics include the true root causes of discrimination; the exploration of the various forms of violence; economic, social, and sexual violence. He encourages the reader to practice nonviolence in all daily interactions, elaborates on the practice of generosity, and teaches the art of deep listening and loving speech to help reach a compromise and reestablish communication after misunderstandings have escalated into conflicts. Good Citizens also contains a new wording of the Five Mindfulness Trainings (traditionally called “precepts”) for lay practitioners, bringing them in line with modern-day needs and realities. In their new form they are concrete and practical guidelines of ethical conduct that can be accepted by all traditions. Good Citizens also includes the complete text of the UN Manifesto 2000, a declaration of transforming violence and creating a culture of peace for the benefit of the children of the world. It was drafted by numerous Peace Nobel Prize recipients and signed by over 100 million people worldwide. Coinciding with a US presidential election year, Good Citizens reaches across all political backgrounds and faith traditions. It shows that dualistic thinking—Republican/Democrat, Christian/Muslim—creates tension and a false sense of separateness. When we realize that we share a common ethic and moral code, we can create a community that can change the world. Thich Nhat Hanh's meditations and wisdom for dealing with global terrorism, originally published after 9-11, updated to focus on more recent terrorist acts. Revised Edition. There have been delays on this book. Current publication is expected in 2020. Pre-order here.